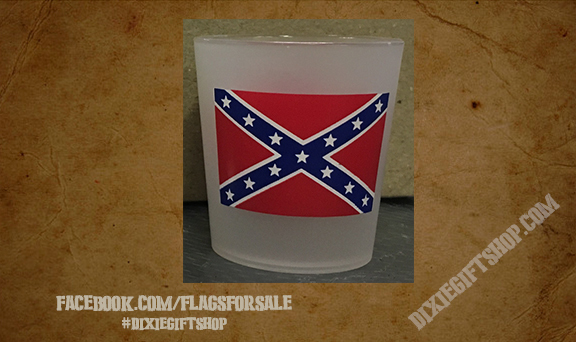 Two rebel flags grace the front and back of this frosted plastic shot glass. Nearly shatter proof. Drink in style!